Many beautiful, interesting, and strange plants live on our planet. One very unusual species is the Socotra Island dragon blood tree, or Dracaena cinnabari. This tree not only has a very distinctive appearance but also releases a red sap, or resin, that is known as dragon's blood. People have collected and used the resin for many years. According to legend, the first dragon blood tree was created from the blood of a dragon that was wounded when it fought an elephant. Like the unfortunate dragon, the tree secretes its resin when it's injured. In ancient times the resin was believed to have magical and medicinal properties. People used it as a pigment for art, a dye, and a medicine. Dragon's blood is still used for these purposes today. Socotra Island is part of an archipelago off the coast of Yemen and Somalia. A fascinating and unique group of plants and animals live on the islands of the archipelago. 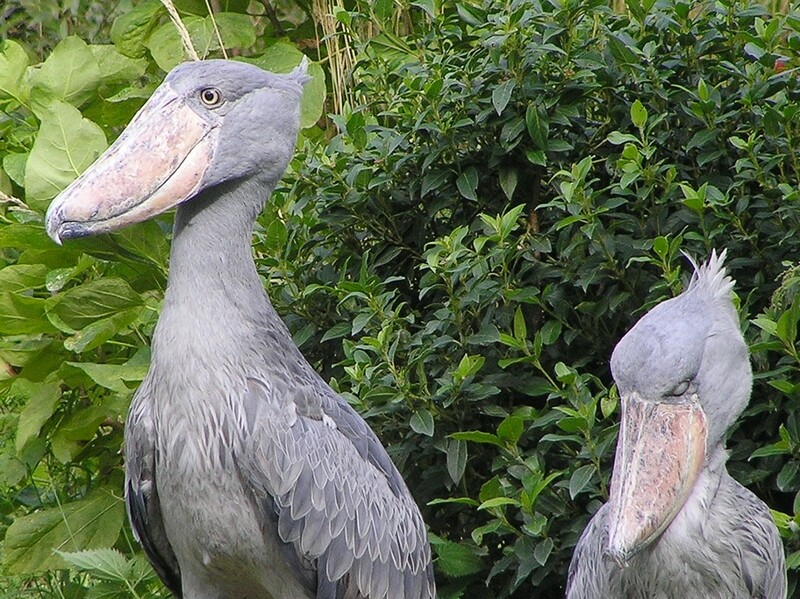 Conservation of these organisms is very important for maintaining the Earth's biodiversity. Socotra Island is often likened to an alien planet because it has such a unique collection of plants and animals. It's also referred to as a "lost world" because the inhabitants of many countries have never heard of the island and are unaware of its wonders. Some very interesting plants and animals live on Socotra Island. 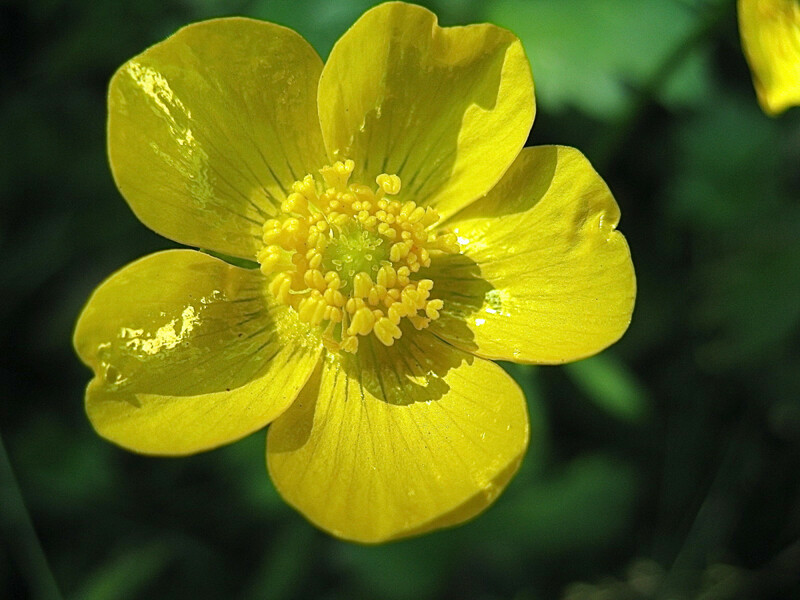 Thirty-seven percent of its plant species occur nowhere else on Earth. In addition, the people living on the island have a distinct culture and language. Both the Soqotri language and Arabic are spoken on the island. UNESCO has designated the area as a MAB (Man and Biosphere) reserve. The island is located in the part of the Indian Ocean known as the Arabian Sea. 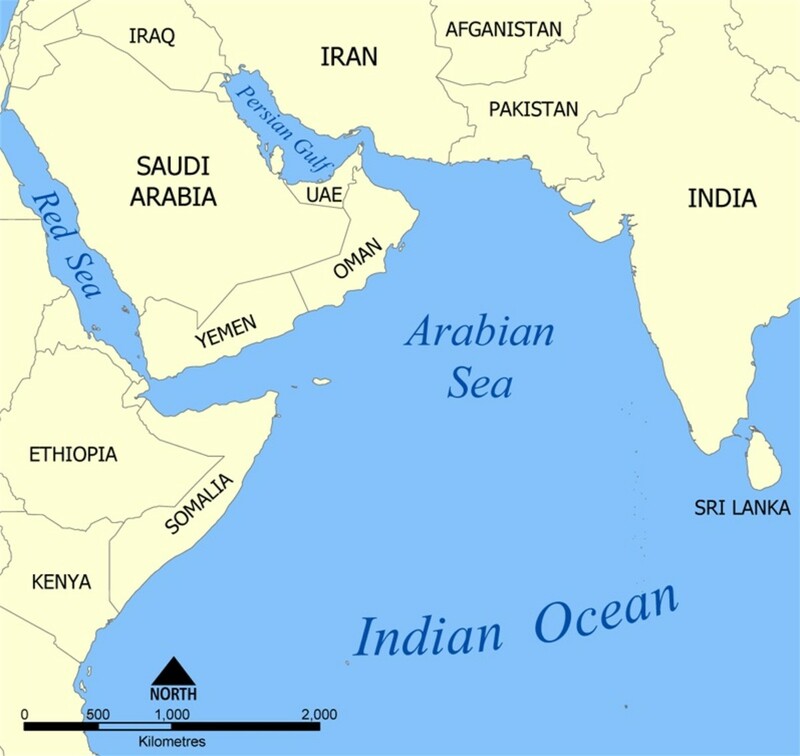 In the map above, the yellow speck off the tip of Somalia is Socotra Island. The island is nearer to Somalia than to Yemen, but it's actually part of the Republic of Yemen. It's located to the east of the Gulf of Aden between Yemen and Somalia. Although there is political unrest in Yemen at the moment, Socotra Island attracts visitors. These include people who are interested in ecotourism as well as scientific researchers. The island has a commercial airport that connects it to the mainland. The site (Socotra Archipelago) is of universal importance because of its biodiversity with rich and distinct flora and fauna: 37% of Socotra’s 825 plant species, 90% of its reptile species and 95% of its land snail species do not occur anywhere else in the world. 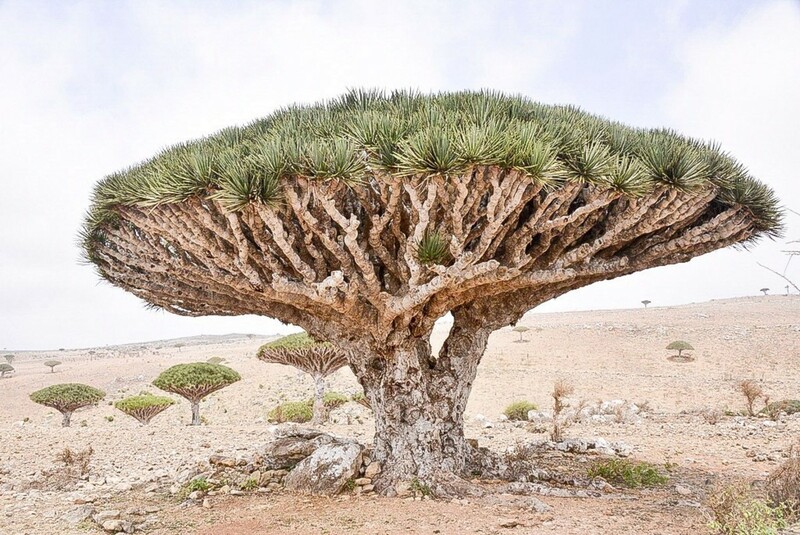 The dragon blood tree is also known as the dragon's blood tree and the Socotra dragon tree. It's an evergreen plant that is native to the islands of the Socotra archipelago. The branches have a rippled appearance. They develop in a very regular pattern known as dichotomous branching. In this process, each branch produces two new branches arising from the same point. The process repeats to create the base of the tree's crown. Flowering plants are divided into two groups—the monocotyledons or monocots and the dicotyledons or dicots. Most trees that produce flowers are dicots. Dragon blood trees are monocots, however. Monocots have only one seed leaf (cotyledon) in their embryo instead of two as well as other differences from dicots. It's important to note that when the literature refers to "dragon's blood" it may not be referring to the resin produced by Dracaena cinnabari. In the past it often did, though. 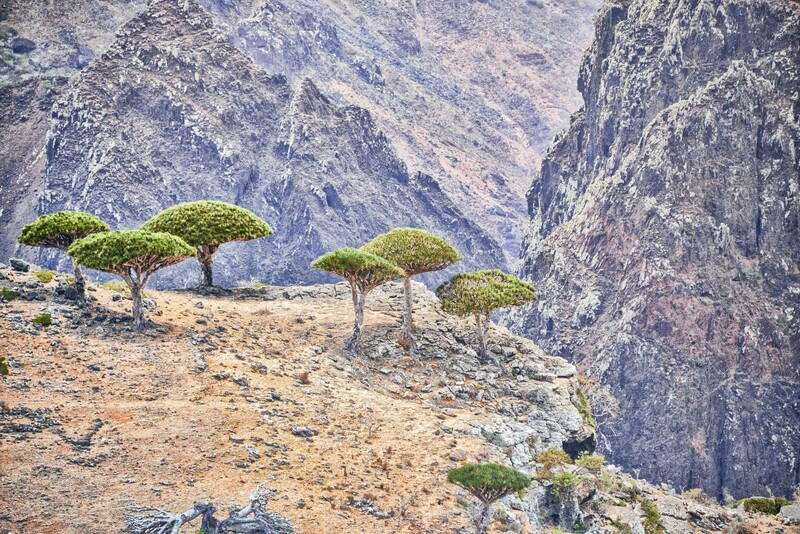 Today the term may refer to the resin from the Socotra Island tree or the related Canary Island tree (Dracaena draco). It may also refer to the resin made by Daemonorops, Croton lechleri, or other plants. It may even refer to the red mineral cinnabar. 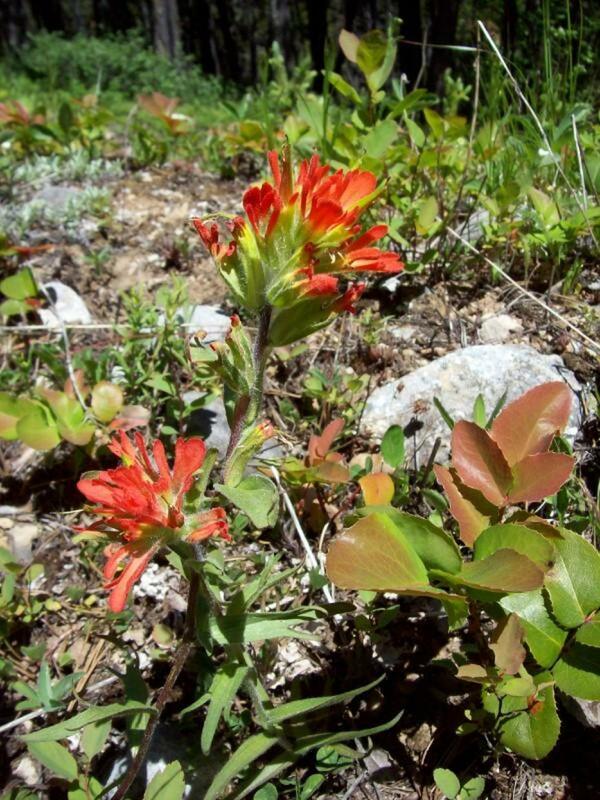 Cinnabar consists of mercury sulphide and is often considered to be poisonous. Early explorers were reminded of cinnabar when they first saw the resin of the dragon blood tree. 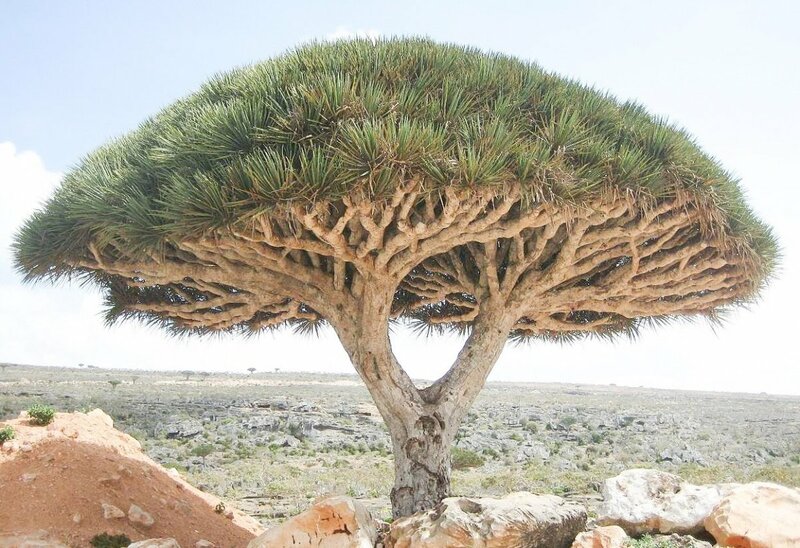 The resin from the Socotra dragon tree may be safe in small quantities. It's been used medicinally for a long time, apparently without harmful effects. I haven't yet found any scientific evidence showing that it's safe or that it's effective for health problems, however. It has been discovered that the resin contains chemicals called flavonoids, which act as antioxidants. Researchers have also found that the resin can relax rat muscle. These factors may or may not be beneficial in humans. There is one situation in which dragon's blood is useful medicinally, but the "blood" comes from Croton lechleri, not Dracaena cinnabari. Crofelema is a medication made from Croton lechleri resin. It's used to treat non-infectious diarrhea in AIDS patients who are on antiviral therapy. In the United States, the medication is approved by the FDA (Food and Drug Administration) specifically for this purpose. It's important that consumers identify the source of any dragon's blood that they buy. A big problem is that the resin comes from several different plants and therefore has a varying chemical composition. Certain resins may be more dangerous than others. Some researchers have found that dragon's blood from Dracaena cochinchinensis has an anticoagulant effect in rats, which means that it increases bleeding. Other researchers have found that dragon's blood from Croton palanostigma damages genes in mouse cells. Both of these observations need to be confirmed and investigated further in additional experiments. They are worrying, though, because they suggest that although dragon's blood from plants has no obvious toxicity, it may cause hidden harm. Dragon's blood resin is sometimes sold in stores, either in a pure form or mixed with other substances. Based on our current knowledge, it's probably a good idea to avoid using the resin medicinally or cosmetically for now. The IUCN (International Union for Conservation of Nature) classifies the population status of dragon blood trees as "Vulnerable". Although there may be several factors putting the population at risk, the major one is believed to be climate change. Grazing by domestic goats, extraction of the resin, and using the tree for firewood may play a smaller role in the tree's problems. Other problems may be the increasing amount of development on the island, especially the creation of roads, as well as the increasing number of visitors. For a long time, the people of Socotra Island have used the island's resources sustainably. They are a poor population, however, which makes it very tempting to use the local trees for economic benefit. When combined with climate change, human activity may now be exerting a significant effect on the dragon blood tree population. It's very worrying that most of the dragon blood trees on Socotra Island are mature. There seems to be little natural regeneration of the species. Researchers are trying to change this situation by growing seedlings in protected areas. 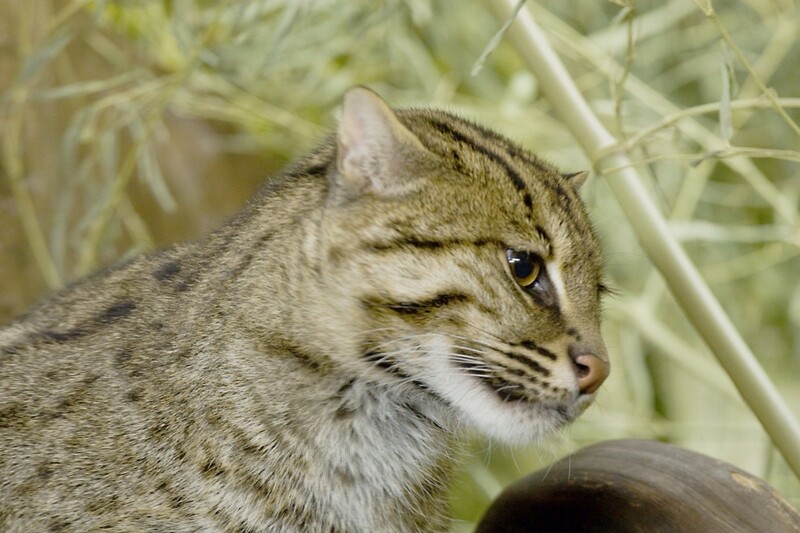 They are also studying life on the island and suggesting methods of conservation. Hopefully, the efforts to preserve the unique creatures on Socotra Island as well as its distinctive human culture will be successful. The plants and animals on the island are a wonderful contribution to biodiversity. This biodiversity is not only important for the sake of the planet but also for its potential medical benefits for humans. Is cinnabar powder safe to use? No. 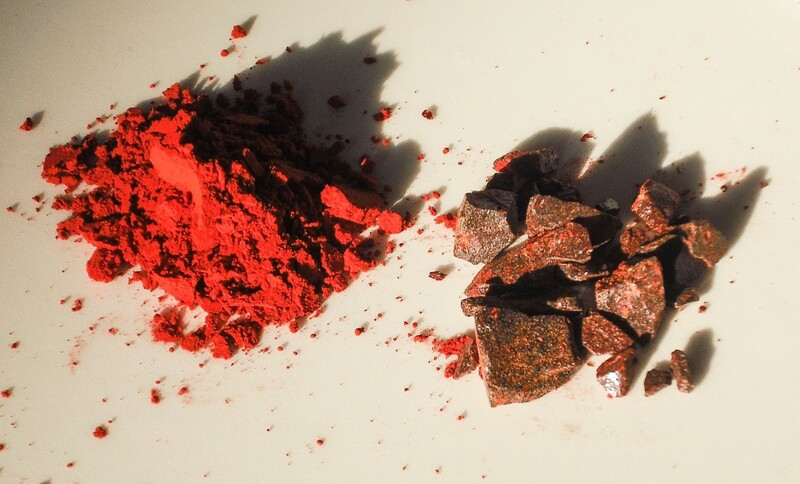 Powder made from the cinnabar mineral contains mercury and is toxic. It should never be deliberately ingested by either a healthy person or someone with a health problem. Hi. As I say in the article, the dragon blood tree has the scientific name Dracaena cinnabari and is a monocot. I hope this answers your question. Hi could you tell me which mono-cot versus dicot it is. Thank you. Hi, Julie. I was going to say that I didn't think the seeds were available outside of Socotra Island, but when I did an Internet search for "Dragon blood seeds UK" I found some for sale. I've no idea about the quality of the seeds or about how well they will grow in the UK, though. Could you tell me if I can buy this in uk & if possible could u give me a price range please? Thank you very much for the comment, Easy Exercise. I like your description! Socotra Island is a special place and the dragon blood tree is a special plant. 1960's StarTrek set - wow! What a wonderful place Socotra is and the Dragon Blood Tree is unbelievable. I am so glad they are protecting this rare tree. I love all trees but this one is very special. Great report, as usual, you always bring us the very best! Thank you very much, Mel. I always appreciate your visits and comments! I never cease to learn new things when I read your hubs. I have seen trees in movies that resemble this dragon's blood tree and secrete a similar red sap, but I was unaware of this island and its unusual natural history. Great hub! Yes, it is an unusual tree. Like you, I love its name and think it's beautiful. Thanks for the visit, Scribenet. This is one unusual and beautiful tree. It looks so cultivated and yet it grows wild. The red sap and the name conjures up stories in my head...lol. Hi, Insightful Tiger. Thanks for the comment. I agree - it's a beautiful and very interesting tree! Thank you, Freeproducts4you. It is a strange name for a tree! What a beautiful tree! Wouldn't it be cool to know exactly what all plants and tree are good for? I wish more research w as done on this. I bet the natives know :) Very interesting hub! Never heard about this Dragon's Blood Tree and this is the first time I saw that name. Very strange name. Anyway, nice work. Thank you very much, Deb. Climate change is a big problem. It's certainly worrying. I'm so glad that you wrote about this rarity, and are making people aware that there is a problem with the continuation opt this tree in the future. Global warming reaches everywhere. Hi, ArtDiva. I would love to travel the world to look at trees! Socotra Island would be fascinating to explore. Thanks for the comment. 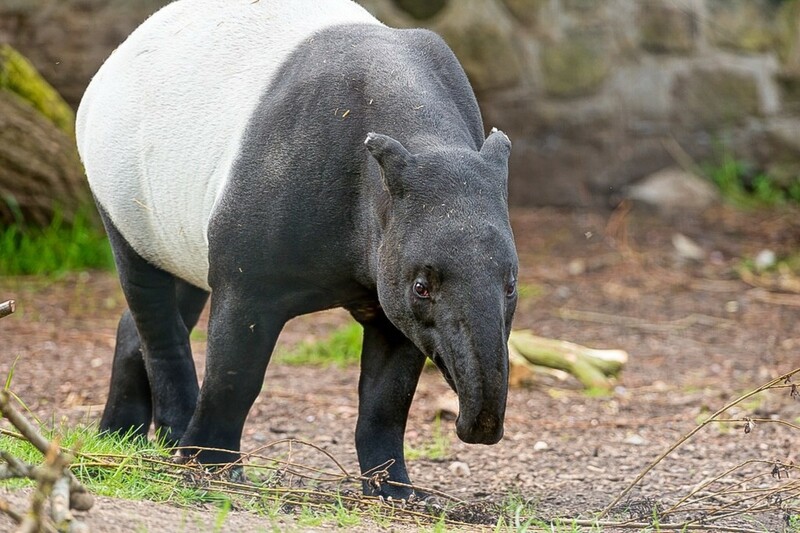 This island, like Australia, has some of the most unusual plants and wild animals in the world, and this is certainly one of them. The Dragon Blood trees growing on the mountain plateau is an alien landscape for sure. Hopefully, the humankind doesn't typically overdevelop on the island. You certainly will be kept traveling the world to see and hug all your trees up close and personal. Good read! Hi, Alun. Thank you very much for the comment, the vote and the share. I hope that the Socotra Island tree survives, too. Both the tree and the island are fascinating. The evolution of the distinctive plants and animals on the island is a very interesting topic to think about! Although I have heard of the Socotran Dragon's Blood Tree before, I had not seen photos or video of them growing on the island in quite this way before. To see several growing together really does make the scenery look quite alien! I've seen Dracaena trees on Tenerife, but the Socotra species looks particularly attractive and unusual. One hopes that it survives and thrives in the future. I wonder just why Socotra, which is not the most isolated island in the world, has such a peculiarly unique collection of plants and animals? Thank you very much for the lovely comment, GrimRascal. Wow, what a beautiful and wonderful tree. I would want to see it one day with my very own eyes. Your writing actually piqued my imagination. Thanks for the comment, Jo. Good luck with your PC! I tried leaving a comment here yesterday but couldn't. My PC is running pretty slow so it may well be the cause of the problem. Anyway, fascinating hub. Thank you, Arachnea. I appreciate your visit and comment. I never new about the origins of dragon's blood. Very interesting hub. Thank you for the comment and the vote, Vellur. I agree - the dragon blood tree does have a very interesting shape! This tree is very unique and a very interesting in shape. 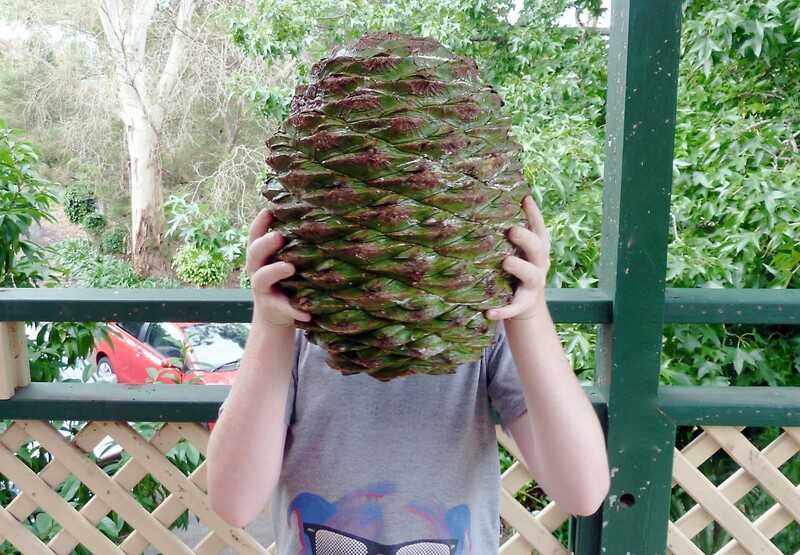 I have never read about this tree before, thank you for sharing and voted up. Thank you for the lovely comment and the votes, Devika. An unusual tree and you always present your hubs with such professionalism. Voted up, interesting, useful. Thank you very much for the comment, Blossom! Such an interesting hub. Thank you for sharing this information, I'd never heard of this unusual tree before. Thank you very much, Dora. I appreciate your kind comment. The trees do look weird. Apart from that, you manage to hold my interest from beginning to end. Interesting stuff about the dragon blood tree, and very well presented. Thank you for the comment, Ethan. I hope that both you and I get a chance to visit Socotra Island one day! This looks like an amazing place to visit. I wonder if I will ever get the chance to visit it... Great Hub! Hi, Nell. I agree - the sap and its pigment are amazing. It's great that there's a dragon blood tree in Kew Gardens. That would be wonderful to photograph. Thank you very much for the vote and the share. Hi, Faith. Yes, the tree does have an evocative scientific name! Thank you for the comment and the kind votes and shares. I always appreciate your support. I hope you have a great weekend. Another fascinating aspect is the unique creatures who inhabit Socotra Island, when they are not found elsewhere in the world. I do hope that preservation efforts of this island and its inhabitants, and plant life, are successful! Thank you for another interesting read! Thank you very much, Bill. A dragon blood tree in the front yard would look very interesting and would definitely get attention! Thank you very much for the comment, Ann. As always, I appreciate your visit. The dragon blood tree is certainly amazing! Hi, Bill. You've raised a good point. Our planet has other wonderful and little known areas with unique life forms. I'd love to visit them all! Thank you for the comment. Great name and an amazing tree! I hadn't heard of Socotra but it's obviously very important for those species which exist there. Fascinating hub, Linda. Thanks for telling us about this wonderful tree. Hi Linda. How interesting. I was not familiar with Socotra Island or the Dragon Blood Tree. It's amazing the number of fascinating places around the world that we have never heard of. Would love to visit someday. Great job, thanks for the education. Thank you very much for the comment and the vote, Jodah. I'd love to see the plants in real life, too. It would be wonderful to photograph them as well. What a wonderful hub Alicia. Amazing plant species on Socotra Island. I would love to go there and see these wonderful plants with my own eyes. Thanks for the videos too. Voted up. Hi, ologsinquito. I'd love to see the island in person. It would be such an interesting place to explore. Thank you for the vote and the share. I appreciate them both. Thank you so much for the comment, the votes and the share, Flourish! I hope the island's creatures and the human culture survive. It's such a fascinating place. Thank you very much for the comment and the vote, Chris. I appreciate your visit! What a fascinating place. Now I want to learn more about this island and see more pictures. Imagine that, 37 percent of the species are found only on that island. Voted up and shared. Linda, this was phenomenal. How strange. I hope that with all the unrest the island is not negatively impacted. Voted way up +++ and shared. Definite vote up! Very nicely done! 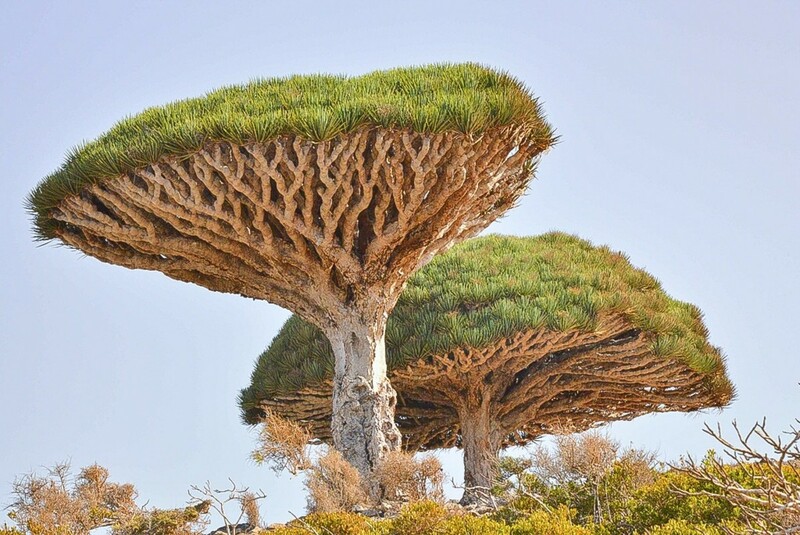 I'd never even heard of either Dragon's Blood Tree or Socotra Island, thanks for a very informative hub!